Many houses stand on large plots of land that can be challenging to manage. 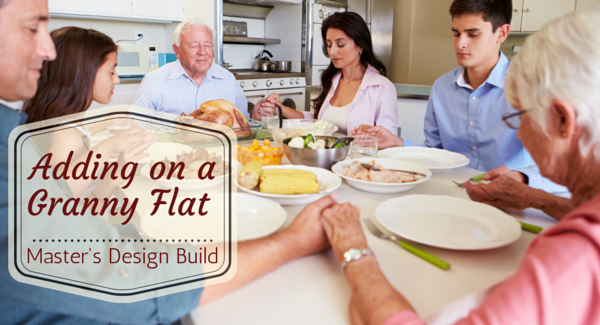 The addition of a small cottage or granny flat can have numerous benefits, as long as it’s planned correctly. It can be used to house elderly relatives, or it can be rented out to generate extra income. Use it as an office, saving time and money on a commute. Where do we even start??? This client came to us as a referral from another client for whom we had done a beautiful kitchen two years ago. His recommendation was that we had the talent and ability to work with all of the challenges that this project represented. This home is in a very unique English Village neighborhood. All of the homes are quaint English Tudor style homes built in the 1920’s by a World War 1 veteran who fell in love with European architecture. Unfortunately, some of the structural elements were lacking and in this case, the roof structure was bearing on a second floor partition wall that had no direct support under it other that the 3 x 6 floor joists which had sagged 2 inches over the previous 90 years. Part of the complexity of this project was the structural elements that had to be addressed before we could even start the bathroom remodel. This was perhaps one of the most challenging projects our company has ever done. Their existing bathroom was quite small and cramped. It was actually a Jack and Jill type bathroom with two entry doors into separate bedrooms, one of which was actually being used as a family room. The bathroom had been remodeled some time before but the structural issues had not been addressed. The wall you see on the left of this first picture was supporting the roof structure above it, shown in this picture. This had caused the floor of the bathroom to sag significantly—a problem that would need to be corrected. The existing bathroom had a standard 5’ bathtub and shower surround. very plain and uninspiring. The first picture shows how small and cramped the space was. The next picture shows the closet that the owner wanted to incorporate into the Master Bath. 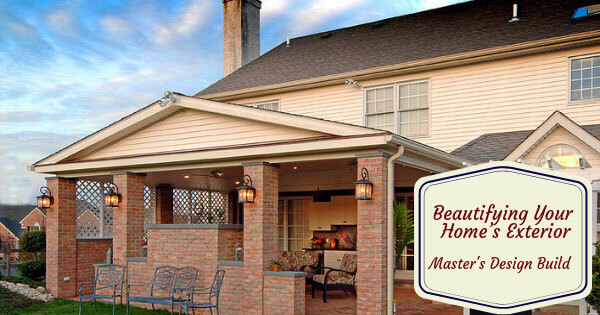 We engaged in the design process with our clients in the spring of 2014. The floor plan below shows the existing bathroom and closet that someone had previously built in the Master Bedroom. Ultimately, the general idea was to remove the door to the family room on the left and remove the wall between the bathroom and the closet and incorporate that space into the Master Bath. The owner was concerned about having enough space so we also discussed creating an addition out over the existing first floor kitchen but ultimately felt that we could achieve the client’s goals within the existing space. We presented several layout ideas but nothing seemed to connect until the owner saw something on Houzz and asked us if we could do something similar. The idea was that of using rustic beams to provide the visual and physical barrier between the elements of the bathroom. As we began to expand upon this, it became obvious that we had hit upon something that could be amazing. The drawing on the next page shows the layout that became the plan for the new Master Bath. The general idea was to create the space using reclaimed barn beams installed at an angle to the room creating an oddly shaped but very spacious shower while also leaving enough room for passage to the toilet alcove. We actually moved the toilet back into the family room space about 12” to provide just a little more space and privacy. The plan called for removing the existing cast iron radiator and installing underfloor hydronic radiant heat with its own thermostat. The barn beams would be installed so as to create a window effect above 66”. This would provide ventilation and openness in the room. The plan was to seal the beams with a siloxane based sealant to prevent them from soaking up any water. The owner was interested in having a trough style sink with his and hers faucets. As we continued, the owner selected a custom made soapstone sink. They definitely needed a rain head shower hanging from the ceiling as well as a handheld shower on a slide bar. The rain head chosen was a 16” Grohe rain head. There would be a niche for soaps and shampoos on the inside of the shower wall. The cabinetry would be custom made, quarter sawn cherry with custom double drawers. Therewould also be a book case in front of the toilet along with a framed mirror and medicine cabinet. New lighting would be installed with recessed lighting over the shower and toilet and a vanity light over the vanity. In his searching the owner found a very unique vanity light made from an old wine barrel stave and steel strapping. The tile chosen was all natural Travertine tile—16 x 16 on the floor and 6 x 12 wainscoting on the walls. The shower would have a small seat/footrest for shaving with a soapstone top. The drain in the shower would be a Schluter Kerdi Line Drain so that the large 16” tiles could be laid right into the shower. One of the really great features we designed was the no threshold shower. We had a lot to do before we could even start the bathroom itself. After gutting the bathroom and the adjacent family room to the studs and ceiling joists, we installed a 3 1/2” LVL beam with a Knee wall above it that effectively supports the rafters. This load is transferred to LVL posts set into each wall. We then had to install all new ceiling joists in order to ensure that the ceil- ing was level and flat. This was a major structural project and significant challenge to install while ensuring that the existing structure was not compromised in the process. Once the beam was installed overhead and the new ceiling joists were in place, we then tore out the floor of the bathroom and “sistered” in new joists alongside the old 3 x 6’s that had been chamfered on the tops for the old wet bed. They had been notched and cut in multiple places. We then rebuilt the partition wall between the bathroom and the family room and framed up the walls of the shower. This was a challenge because we needed the walls for the plumbing but still needed access under the floor to install the underfloor plumbing. So as you see in the picture, we installed the subfloor under the walls so that we could build them, our plumber installed the piping, and then we cut the rest of the new subfloor around what we had previously installed. Not the most efficient but necessary. Moving on, we now see the that the reclaimed chestnut and pine barn beams are installed along with the new veneer plaster wall and ceiling. The cement board is installed on the half wall for strength behind the niche on the other side. We nearly always use the Schluter Kerdi system in our showers. This time we used the Kerdi Line Drain. Notice how we continued the Kerdi out past the completely completely flush entrance to the shower. The bottoms of the barn beams were mortised out to receive 1/2” Kerdi Board and flashed with the Kerdi Band to provide a watertight installation. We now invite you to witness one of the most dramatic transformations in this year’s CotY contest. This picture shows the old closet that we incorporated in to the bathroom looking in through the door. This shot beautifully displays the new custom quartersawn cherry cabinetry, medicine cabinet and framed mirror. This shot also introduces you to the wine barrel stave and strapping vanity light. Please note that in all of the following after pictures, no additional or supplemental lighting was used by our photographer. This is the bathroom as it is. Changing perspective just a bit shows the existing home and trim work that we replicated inside the new bathroom. This view invites you to walk in and see the beauty of this new Master Bathroom. This shot moves in closer to display the thoughtful and beautiful craftsmanship that was invested in this project. These finishes are just exquisite. It is difficult to pick up but we also had a faux finish painted on the walls. This before picture shows the old low budget vanity and toilet area. Yes, this is the same bathroom. We promise. This before shot provides a great perspective of the shower in relation to the old bathtub and it provides a proper contrast to the pictures that follow. everything is luxurious and yet rustic at the same time. The uniqueness of this bathroom make it all the more impressive. This was unlike any other bathroom we had ever seen or remodeled and it was a lot of fun to create. This picture displays the shower fixtures and also the small nook we created for hanging the owner’s towels while showering. This picture is taken sitting on the toilet and shows the beauty of the beams against the custom cherry shelving unit. This picture catches the edge of the shelf unit but also the vanity. The vanity light creates really fun shadow patterns on the ceiling. This picture captures the beauty of the reclaimed beams against the ledgerstone tile we installed on the half wall. It is truly beautiful. Note the thermostat on the wall that controls the underfloor radiant heat. This was perhaps the most challenging project we have ever done. Including our own company, a total of 3 NARI members worked on this project. This Master Bathroom is an amazing masterpiece that showcases the creativity and attention to detail that every member of our team brings to every relationship we have with our clients. There were so many challenges that we faced over the course of the project. The structural work was huge but we first had to find a winning design and then execute it. We also used the latest in innovations using Schluter Kerdi Board, the new Schluter Kerdi Line Drain, and especially the new Schluter Ditra Heat uncoupling membrane and Radiant underfloor heating system. We also installed a Panasonic vent fan with an automatic humidistat and motion sensor. The owners were very impress with our entire team—our staff and our trade partners and they are exceedingly pleased with the final result. We brought the new bathroom together in a way that exceeded their expectations and they are very happy. We leave you with our beauty shots. Thank you for considering our project. 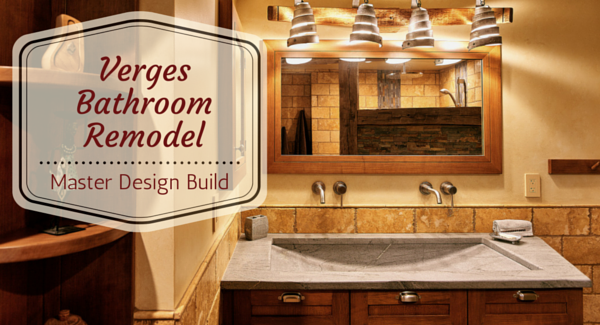 Thinking of remodeling your bathroom? 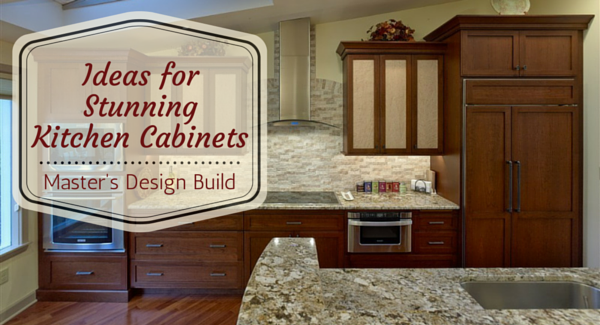 Want a fresh feel with contemporary cabinets and fixtures? Or is your bathroom too small and needs a tub or shower added? It’s amazing how a remodeled bathroom can make a home more comfortable to live in. We never realize how important a pleasant bathroom is until we remodel. Remodeling a bathroom can increase the property value of a home, enhance safety for children and the elderly with improvements in health standards and electrical fixtures. Here are some tips for the perfect bathroom remodel that will help you create the bathroom of your dreams. 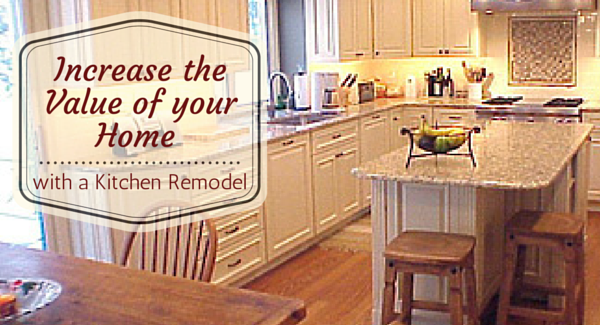 So, you have some home renovation projects that you want to be done? You’ve entertained the idea of doing them yourself, but are unsure how to do them correctly, and then there’s the time situation. Do you have the spare time it will take? Maybe. Maybe not. 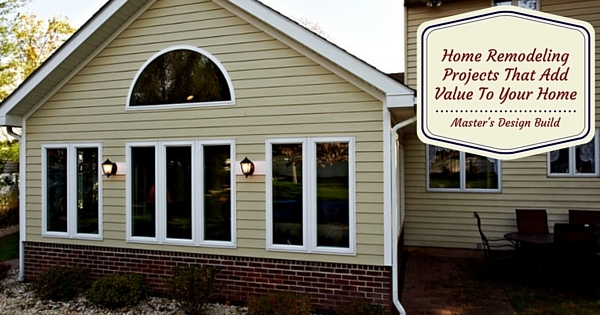 Well, consider hiring a professional builder and remodeler!